It is summertime in Chicago and there are so many free things to do in Chicago in June 2011, including taking in one of our free museums! 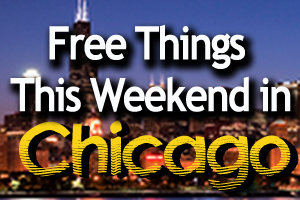 Are you visiting Chicago or jut a local looking for some free attractions or free museums? 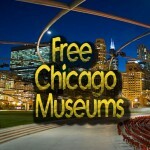 Why not check out one of the many free museums in Chicago in June 2011! 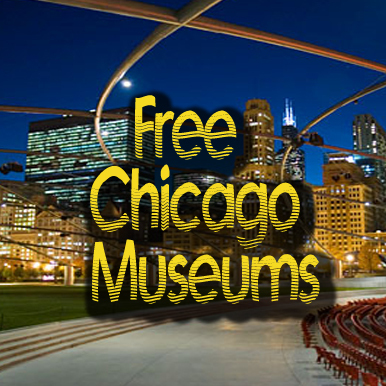 There are a number of free admission days at the Chicago museums in June 2011 so make sure you mark your calendars for these terrific museums (click link at bottom for more info). Are there some we are missing? Leave a comment and we’ll add them! I’m thinking you’re pretty awesome guys for compiling this info! How neat this list is! It will give many people the opportunity to see the establishments! What a way to begin summer! What great info!!! Took advantage of it today!!! Thank you!!! Is it worth going on a free day or is it 10x’s busier? if you can’t afford to go when it’s not free, then it’s absolutely worth it to go on a free day! Karen, I was pleasantly surprised at the amount of people there! My group consisted of 4 eight year olds and we had no problem keeping an eye on them!! (not normally an easy task!!) I will be visiting the Shedd next week for sure! It is worth it 100%. We went to the museum of science and industry yesterday and it was busy but not bad at all and did not have to stand in any long lines. Fun for the whole family! Awesome information. Thank you. My daughter and I will benefit greatly from this list. Thank You! Great info! Good Job Guys! for those of us who have jobs – it stays open later this week. it normally closes at 6pm. *Shedd will close at 8 p.m. on June 12, 13, 15, and 16. Teachers are free everyday, so I don’t believe the museums offer these free days solely for them. Instead, I think this is an offer made available to people who simply can’t afford to give their children the experience of a pricey, but worthwhile, experience of enjoying a Chicago museum. It’s really almost worth taking a day off to give your kids the experience- or send them with the sitter! What do you mean teachers are free? Any teacher? I am a teacher from Wisconsin, am I free? where am I free?